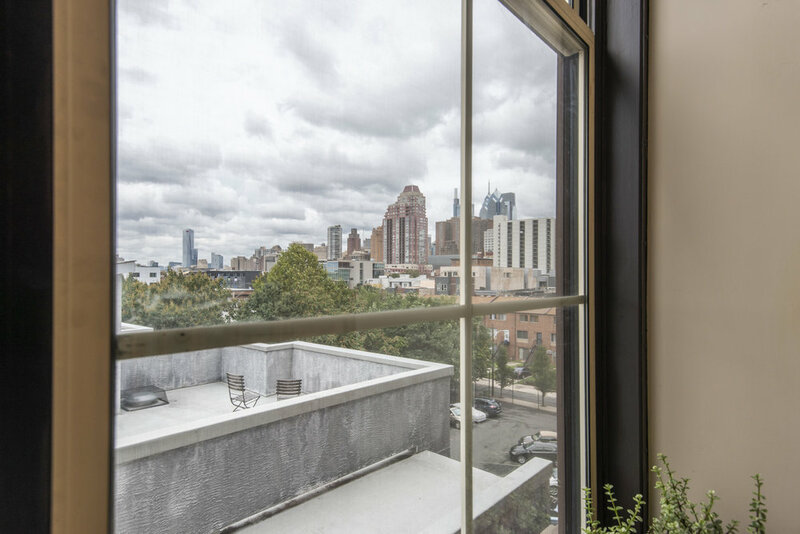 Enjoy Expansive Center City skyline views from living room and bedrooms provided by 14 foot ceilings which accommodate 4 enormous 10×4 foot windows. 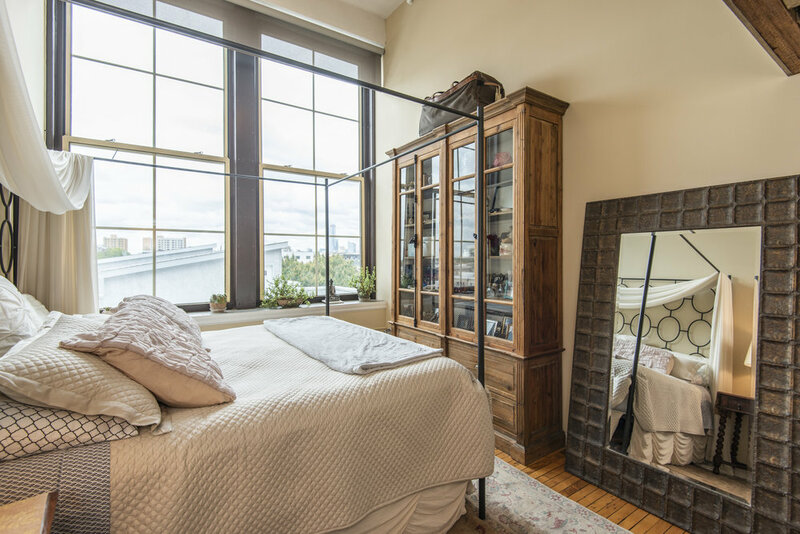 This quiet, 2 bedroom, 1 bath, top floor corner-unit condo is located in the Historic Hawthorne Lofts. 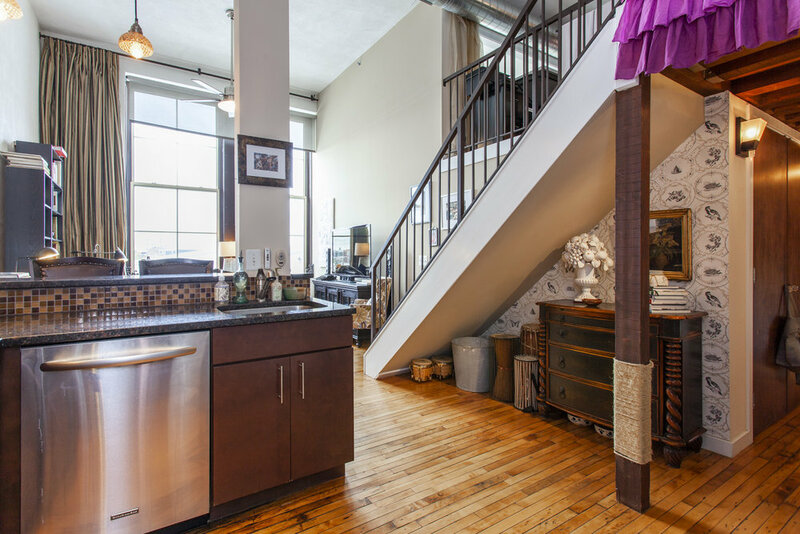 After seven years of original ownership, this loft, with one deeded parking spot in a gated lot, along with numerous amenities is now available. 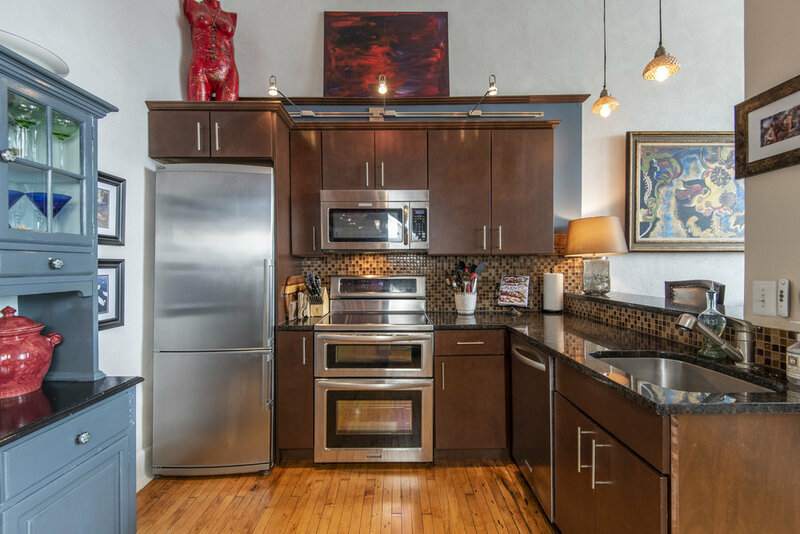 Entertain family and friends in the open living space while cooking with upgraded stainless steel KitchenAid appliances including a double oven. Granite tops are in kitchen and bath. 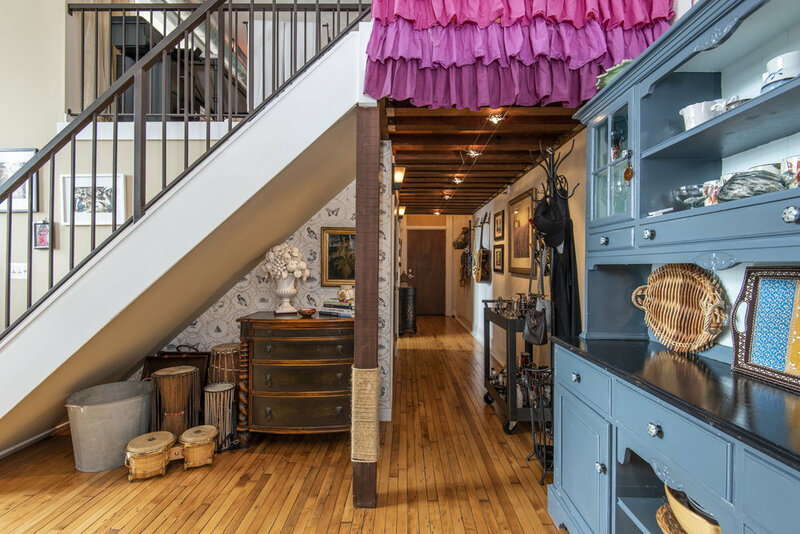 Original schoolhouse floors throughout are easy upkeep. Custom European silk flannel-lined drapes and electric solar blinds provide privacy, while kitchen and hallway spot lighting create the perfect ambiance. 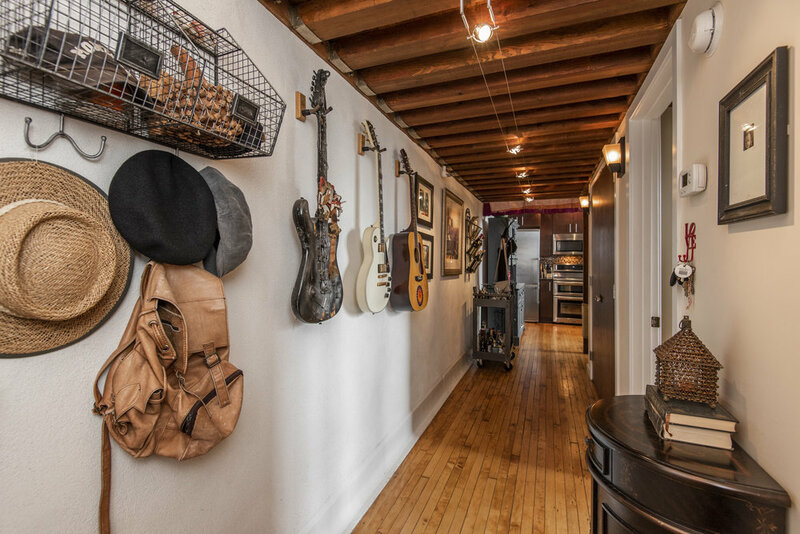 This is not your traditional loft; there are 3 huge closets for storage, and a higher than normal second floor loft ceiling creates abundant light and spaciousness throughout the unit. 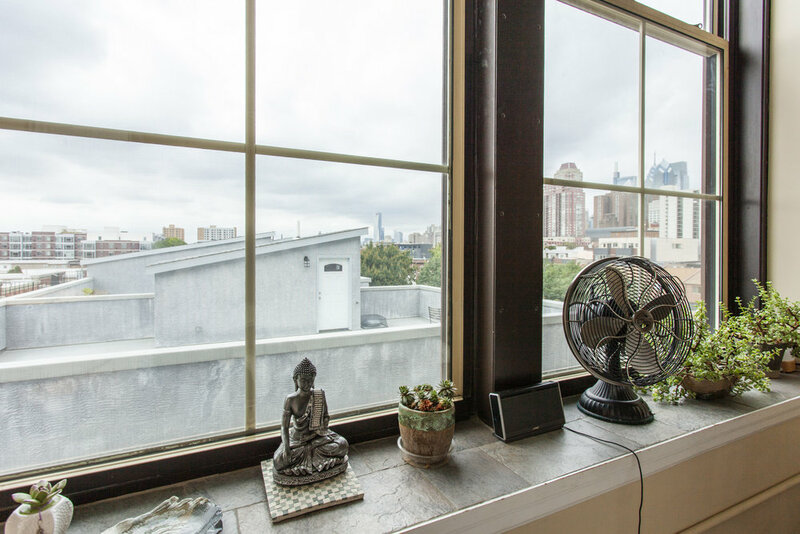 Amenities include: a light-filled well-equipped gym, sauna and steam rooms, common room with billiards table and media center, yoga studio, along with access to a massive community roof deck, and a FREE laundry room. Before you can even take in all this beautiful unit has to offer, you will notice the impeccable condition of the building with a newly refinished lobby complete with hardwood floors and fresh paint. 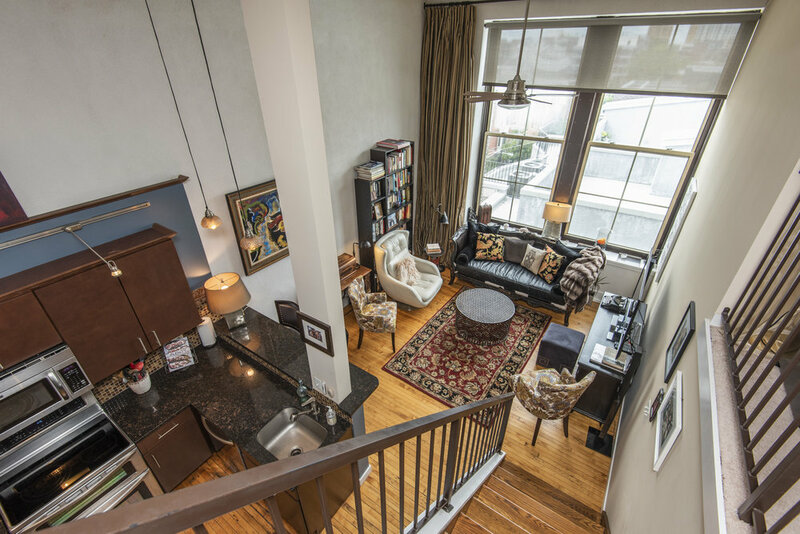 Conveniently located within a five-minute walk to Whole Foods, CVS, Acme, Hawthorne’s Cafe, the Italian Market, Center City Theater District, as well as close-by SEPTA and Indego Bikes. Finally, Hawthorne Community Garden is next door for access to growing your own flowers or veggies.